Audia Flight’s top stereo power amplifier, the Strumento № 4 is, in my opinion, one of the best solid state amplifiers out there (I lived with it for many weeks while reviewing it for 6moons.com). You’d need to spend a whole lot more to get marginal improvements – maybe even just flavour variations, really. With technology and design ideas inherited from that powerhouse, the FLS4 hits the market at a more affordable price point. An important aspect of the FLS4 amplifier that has allowed the Audia Flight engineers to reduce the costs involved with its production against the Strumento behemoth is, for starters, the somewhat lower power rating of 200 watts as opposed to an over-engineered and modestly-specified 250 watts of the Strumento № 4. This of course, allows for a shorter component list, a downgrade in parts’ electrical ratings (smaller transformers, etc.) and a shrinking of the chassis and heatsinking which, when you’re looking at such superb machining quality, the downsizing actually translates to considerably lower production costs. So far we’re talking cosmetic and output power-related issues. Of course, some further trivial compromises may have been necessary within the circuit design – which may have minor sonic penalties, after all the Strumento is quite the killer and more than double the price – but overall, we may be talking about a lower powered version of an amplifier that may approach the sonic excellence of its bigger brother. So, given its Italian heritage, it’s a given that this is a most attractively styled amplifier. It’s built around a massively solid machined aluminium chassis (the top panel’s etched Audia Flight logo is a nicely done touch) flanked by quality heatsinks. Like the bigger Strumento brethren the heatsinks are recessed below the top panel’s extended overhang which makes for knees and chins that will be safe from gouging. The front panel’s wings-like wave curve is followed by the amplifier’s display window (in cool blue) while the only control to interrupt the fascia’s simplicity is a central small on/off button. The rear panel sports both unbalanced RCA and balanced XLR inputs as well as a set of XLR outputs (for daisy-chaining multiple amplifiers). Trigger mini-jack in/out sockets are provided for automatic turn on/off when connected to Audia Flight preamplifiers. Two pairs of clear plastic shrouded copper speaker binding posts are provided per channel (these are another concession to budget because even though they are of very good quality, they are less so compared to the Strumento’s superb Furutech posts). An IEC inlet with fused on/off mains switch rounds out the connectivity. Simple. Audia Flight specifies the FLS4 as being capable of outputting 200 watts RMS into 8 ohms, 380 watts into 4 ohms and 700 watts into 2 ohms (this last minus the current limitation provision). The FLS4’s gain is 29dB while its input impedance is quoted as 7.5 k-ohms unbalanced and balanced. This last translates to excellent matching with AF’s own preamplifiers, of course, as well as other solid state units while some care may be needed with valve preamplifiers sporting somewhat high output impedances. This is a wide bandwidth fully balanced design with a frequency response spanning from 0.3 Hz to 0.7 MHz measured at 1 watt RMS at -3dB. 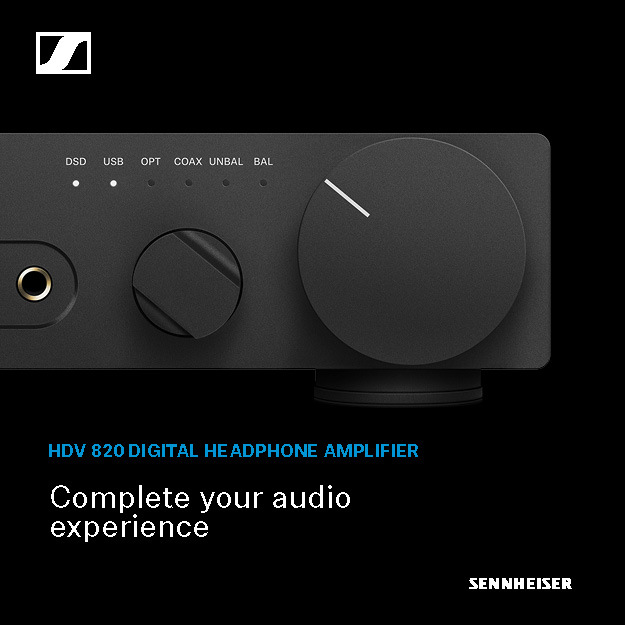 Total Harmonic Distortion (THD) is given as 0.05 percent with a Signal-to-Noise ratio (SNR) of 110dB while the damping factor of 650 at 8 ohms has the promise of decent bass control. The amplifier weighs a hefty 42 kg. The stout ‘super high current’ power supply is built around a 2KVA toroidal transformer with a separate 15VA transformer used for the logic control and protection circuit. A bank of 16 capacitors totalling 288,000 micro-farads provide the main storage. Output devices are the bipolar type and the FLS4 features 16 of them per channel. The gain stage is a proprietary Class-A current-feedback circuit, is housed within an aluminium enclosure and is encapsulated in epoxy resin in order to eliminate noise interference, vibrational distortion and to maintain thermal stability. There are actually four stabilised independent stages per channel comprising of two for the input stages and two for the proprietary current feedback stage. Audia Flight does not believe in using fuses in the amplifier’s output stage’s main power supply stating that they work as “resistors” and adversely affect sound quality. Instead, a microprocessor controlled current sensor is employed. It bears repeating that the FLS4’s chassis is a beautiful piece of industrial design using high-grade aluminium which is machined and finished after a number of processes including “shot-peening” (a metal shaping/finishing process) with final anodisation and “mirror polishing” resulting in an ultra-smooth surface. This level of chassis quality is associated with top end products – many at higher priced points. I thought it pertinent to start my auditioning with Gianmaria Testa and the track “Cavali di Frisia”… to keep the Italo-frutti flavour – just saying. This beautifully recorded track is from the French speaker manufacturer Triangle’s Musique compilation (from Testa’s Extramuros release) and features closely-miked vocals and acoustic guitar. Testa’s chesty vocals are reproduced with great sense of body and isn’t overdone by the FLS4, almost approaching a very good valve amplifier (the latter’s universally-acknowledged unbeatable strength) while controlling the lower frequency span of his voice extremely accurately. When Testa lets fly with a whistle close to the microphone it never sounds strident but the FLS4 tracks the dynamic contrast superbly. The track’s guitar sections are separated clearly from the vocal parts while being excellently reproduced both in terms of tonality and transient speed. In fact, going over my notes during the listening sessions showed me making several remarks regarding two aspects which reiterated the FLS4’s greatest strengths – that of accurate tonal rendition and powerful dynamism. From the same Triangle sample CD comes a bass guitar-only rendition of Jimi Hendrix’s “Little Wing” from Jonas Elborg’s Elegant Punk title. Here the tight control, powerful punch and sometimes startling dynamics made for an edge-of-your-seat listen. This can be a scary track… “Will my speakers survive this?” is the niggling question as you listen. Indeed they did, with the FLS4’s unshakeable dominance of the low registers providing an exciting rollercoaster ride full of detail and thrilling transient pulses. Australia’s Angus and Julia Stone’s releases have crossed oceans and become strong audiophilic fare around the globe. This is for a number of reasons. Firstly, this is good music of a mostly acoustic pop variety slanted with Indie street cred. Secondly, and especially in their A Book Like This CD, the recording quality is outstanding. The brother and sister team – from Newport in the Norther Beaches districts of Sydney – also share the vocals which provides variety while the sometimes melancholic themes can stir the emotions of many listeners. From that same release, the track “Here We Go Again” is renowned for its superbly captured kick drum and guitar. When the track starts the FLS4 wallops with a deep and concussive thump as the beater pedal hits the drum skin. It’s oh-so-fun… and also realistically… lifelike, your speakers permitting. And the amplifier performs superbly too when it comes to reproducing the siblings’ vocals. Julia Stone has a skinny, almost mousy cutesy tone (in a good way) and her intonation – in addition to the close miking techniques – can sometimes sound strident. The FLS4’s superb handling of tone and its ever-so-subtle sweetness eschews any brittleness while managing also to place Julia in the room with satisfying lifelike presence. This is a very refined solid stater with fluid and textured chops. “Omosayo” in Yae’s Blue Line release is not audiophile quality by any stretch. In fact, it’s a somewhat compressed production yet, on that track, the simplicity of Yae’s lone voice is communicated beautifully via the FLS4. It’s incredibly convincing in terms of realism and she’s placed dead centre, without ever shifting, in a very wide and high soundstage with good depth perspective too. The dynamic excesses of my usual test music was evident and uninhibited. Be it the extremes from the Japanese and Chinese big drum extravaganzas, or the orchestral largess of the Lawrence of Arabia and Gladiator soundtracks, or Tool’s imaginative and hard-hitting meanderings, or the immediacy of the devastatingly uncompressed live recording of the Tony Dagradi Trio’s Live at the Columns. On a last note, the circuit design of the FLS4 is extremely quiet. Yes, those old audiophile clichés of inky black backgrounds and Black Hole blackness can be used appropriately here. This amplifier will not obscure finer low level nuance and detail in any way whatsoever. 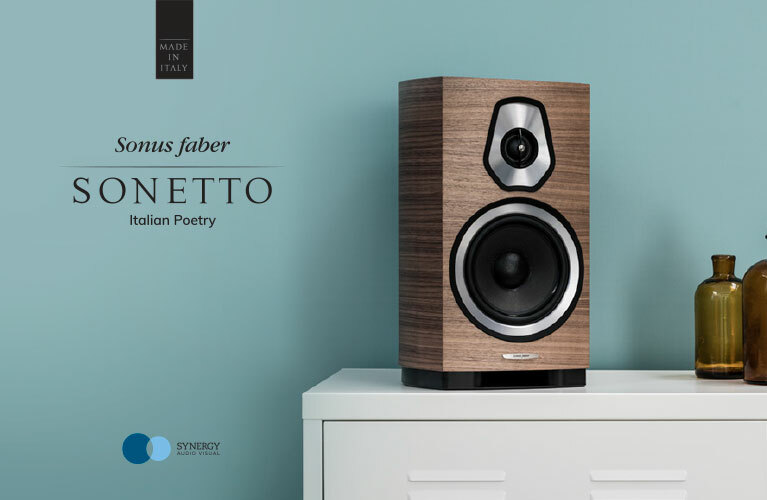 And putting your ear right up against your speakers’ tweeters – even with efficient models – will have you wondering whether you neglected to flick the power switch on the amplifier. Once again, as I found in my Strumento № 4 review, the Audia Flight FLS4 surpasses the expectation at the price point. This is a manufacturer with serious designing skills (as I found during my factory tour – stay tuned for that pictorial report coming to the Features section soon) and completely devoid of a ‘me too/cookie cutter’ ideology. These are well-developed designs, the fruits of solid engineering talent. What’s more, this craftsmanship is further elevated by co-proprietors Massimiliano Marzi and Andrea Nardini’s keen fine-tuning ears. Each Audia Flight component is carefully assessed and ‘voiced’ in a well-equipped auditioning room at the company’s headquarters and factory in Civitavecchia just out of Rome. Add to all that the aesthetic design flair commensurate with the Italian credo plus the Swiss-precision build quality and you have yourself one extremely serious power amplifier that should last you a lifetime. Bellissimo!